The M6 batch of MET IMM was given a hearty welcome on August 09, 2010. 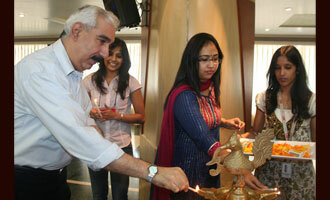 These future media professionals were taken through an intensive induction programme spread over seven days. The sessions were thoughtfully planned to give students a preview of what lies ahead for them in the mass media industry.